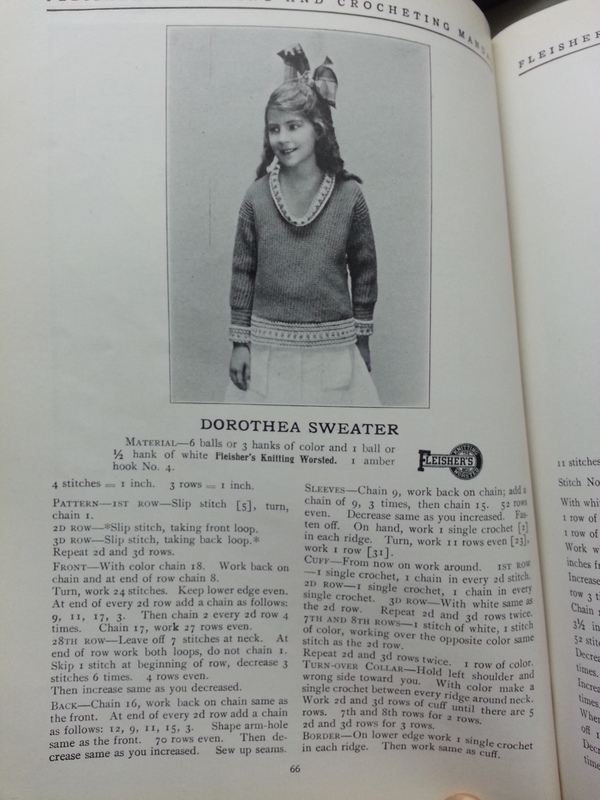 November in the Northern Hemisphere seems to be when knitting season kicks into high gear. 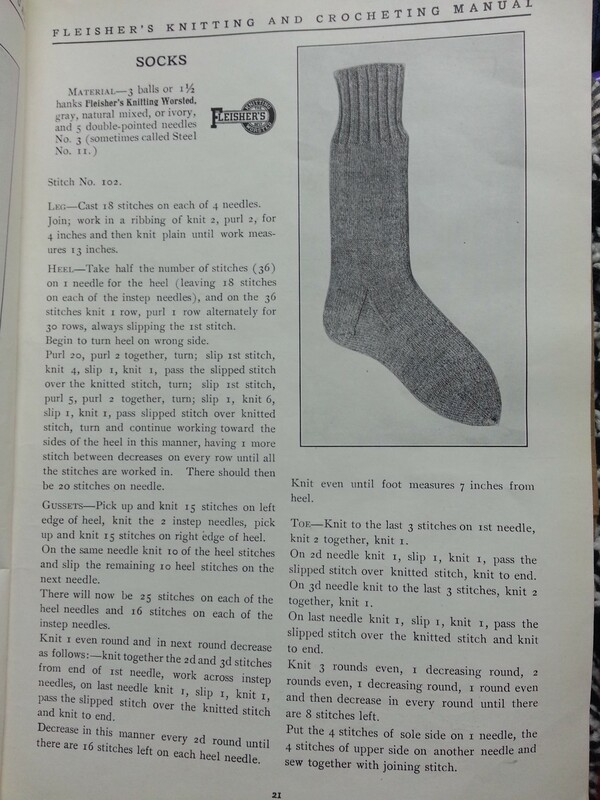 If you’re a super productive knitter, you’ve probably finished your Socktober socks and moved on to your sweater for National Knit a Sweater Month (aka NaKniSweMo) and your holiday gift projects. Unless you are like me, in which case you are simply looking at your stash and thinking “I am sort of cold. 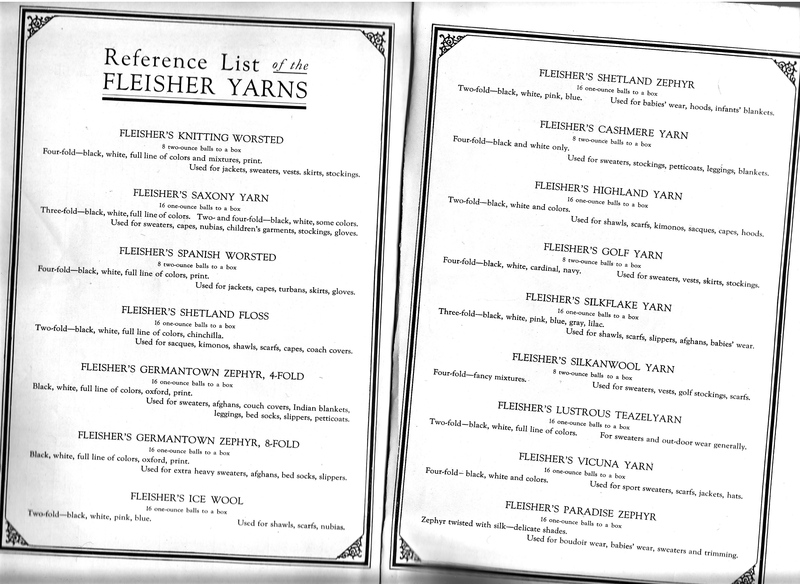 Can I make something from this yarn to make me less cold?” The answer, of course, is yes. Here are three (free!) patterns for the things I think I’ll be wearing a lot this month to keep warm. 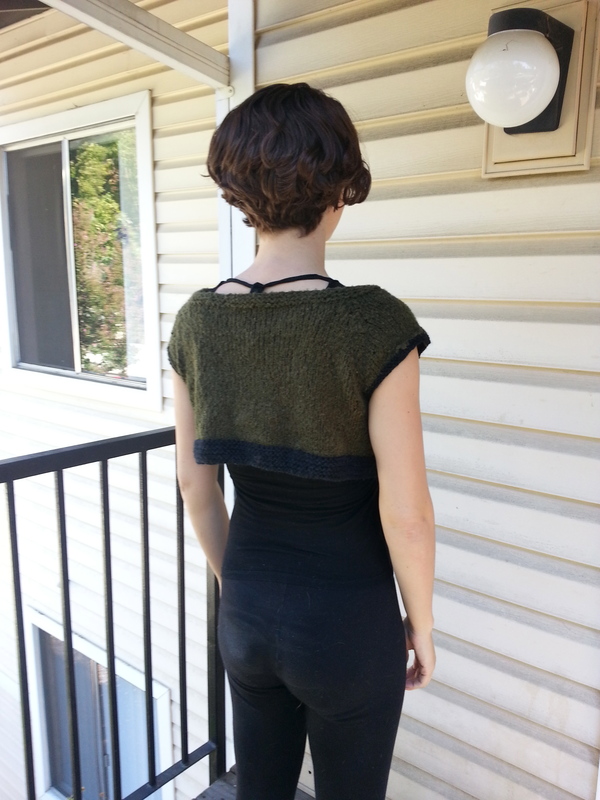 I actually made this little cropped short-sleeve cardigan three years ago but I seem to get use out of it every fall. 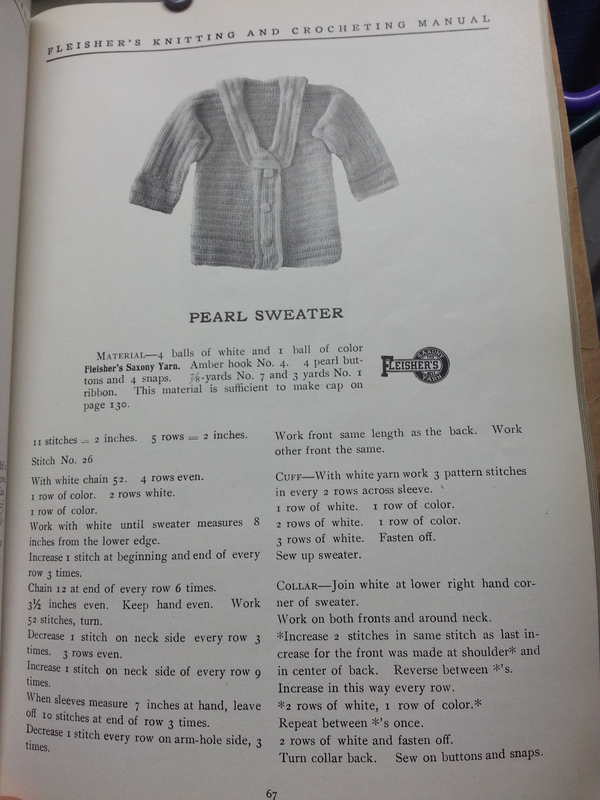 The pattern here is Half a-Cardi by Patti Gonsalves. 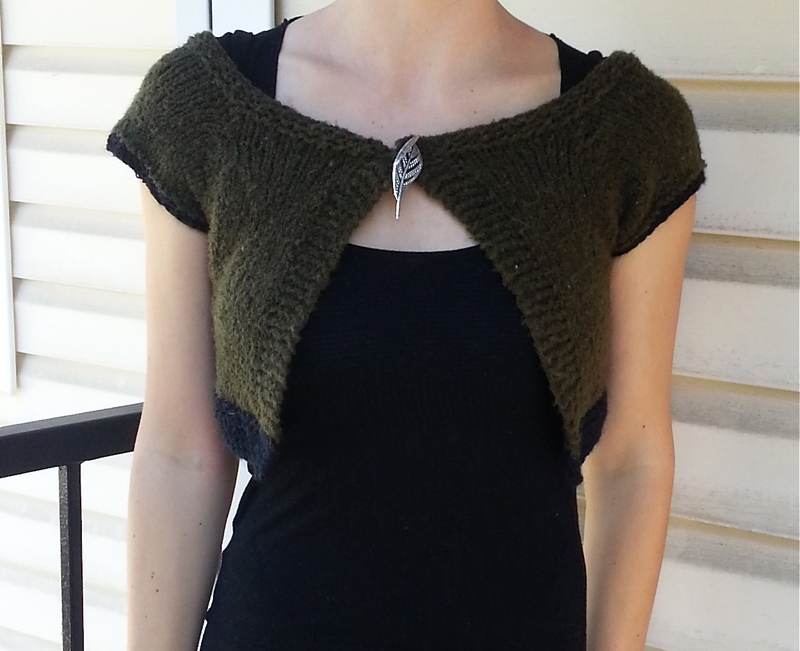 It’s a great chance to try out a top down raglan style if you haven’t already. It knits up pretty quickly too. I usually wear it over a black tank top or long sleeve shirt with the leaf pin to keep it connected at the top. It adds an extra layer without adding too much bulk. 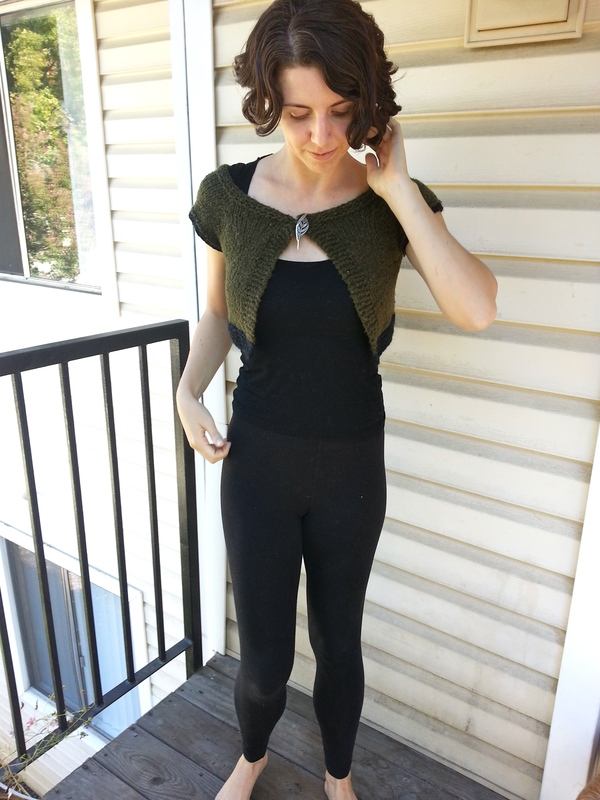 You’ll notice that my half a-cardi is shorter than some of the others on ravelry, and that it has a contrasting black band at the hem and sleeves. 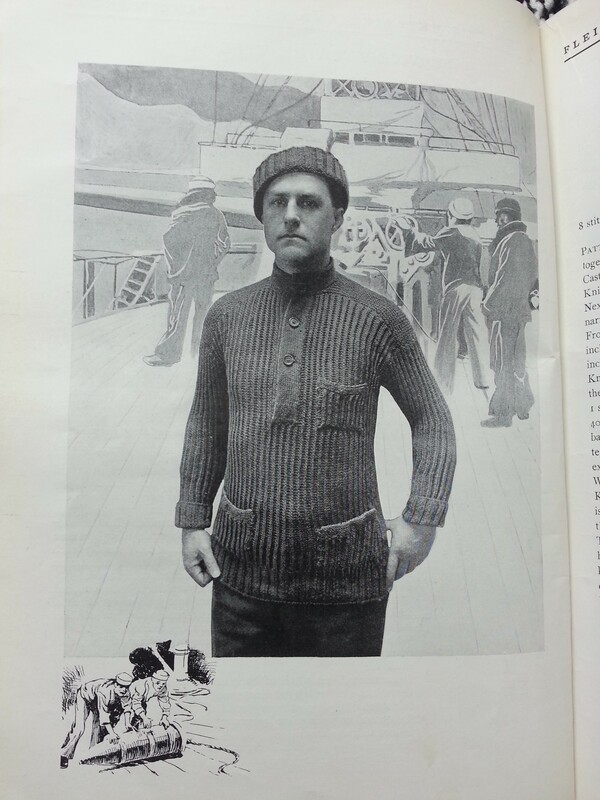 That’s because I knit this with a completely unknown yarn that someone had given me. I’m not even sure what kind it is—it’s kind of chenille like, kind of boucle like. I love the color. 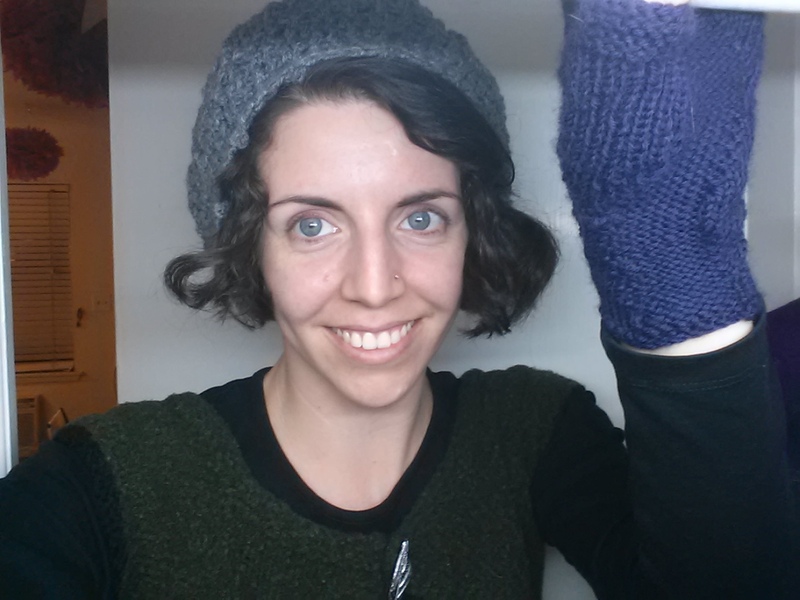 When I ran out of yarn a bit shy of my target length, I added the garter stitch bands in black. This is the eternal problem with stash knitting—if you don’t have the label and you didn’t get to measure how much might be missing from a skein, it can be a little tricky to predict if you have enough. 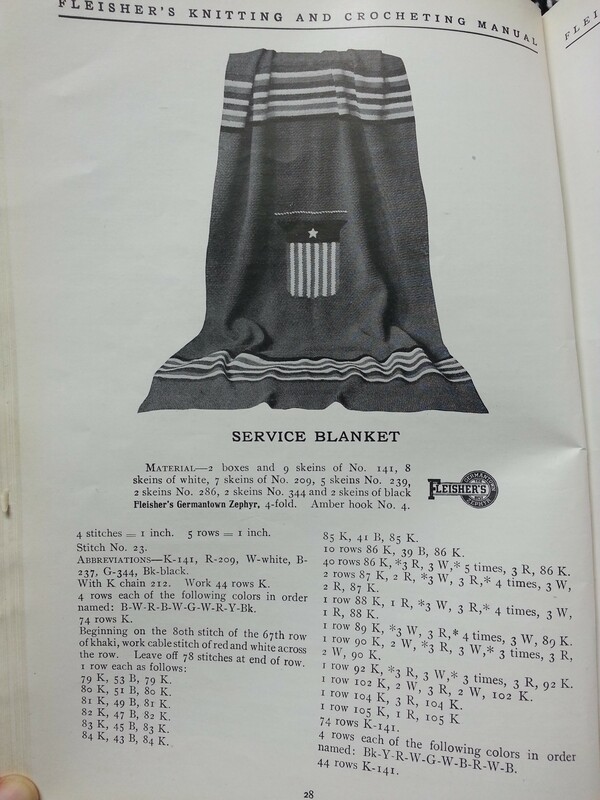 I thought I had the 260 yards required to make the smallest size, but it didn’t quite make it. However, I am still a firm believer in knitting from the yarn the you already have, whether it’s left over from another project or gifted to you from a friend. 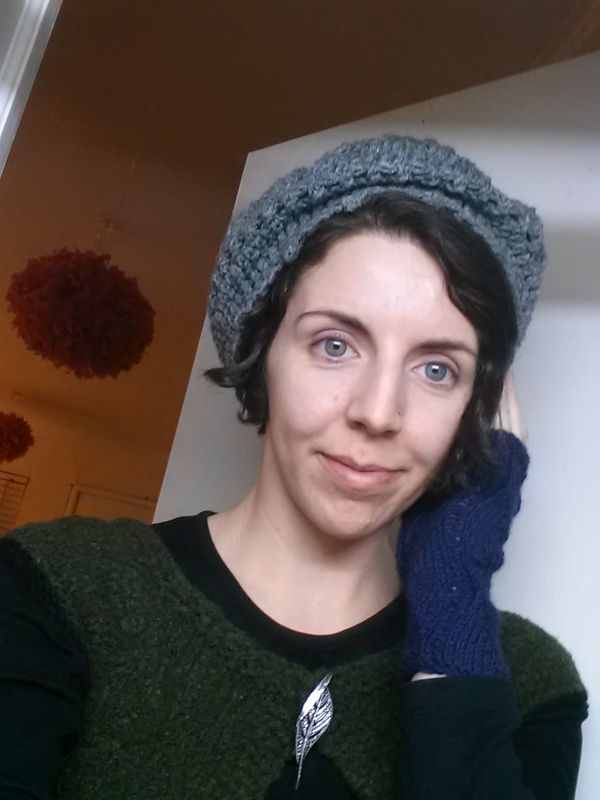 I try to focus on stash knitting as much as possible not only because I am a proponent of not wasting what I have, but also because it makes me more creative in choosing and executing projects. 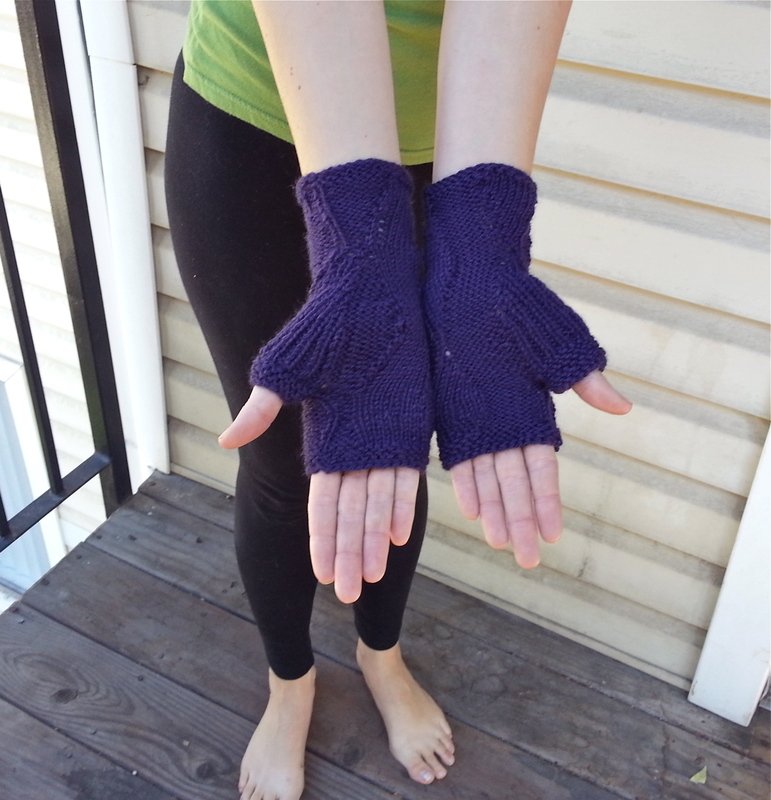 I call these my Purple Wave fingerless mitts, though maybe I should have called them Purple Pain because that’s what they were to knit. 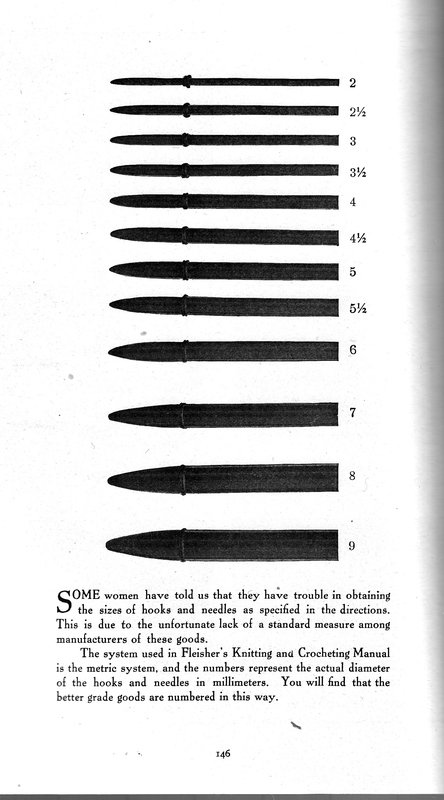 I think it was a combination of many factors, including knitting on an airplane, using some rather old yarn, and difficulty reading the chart (it’s a left handed knitting problem for me). However, in then end I definitely will be using these! 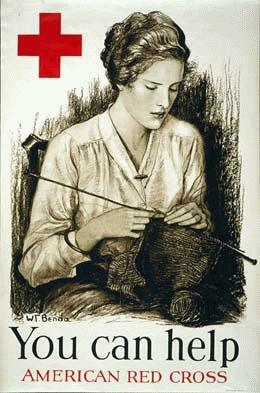 The pattern is Onda su Onda by Annalisa Dinoe. So far these have been great for riding my bike when it’s a bit too chilly for my hands but not so cold that I actually need gloves. 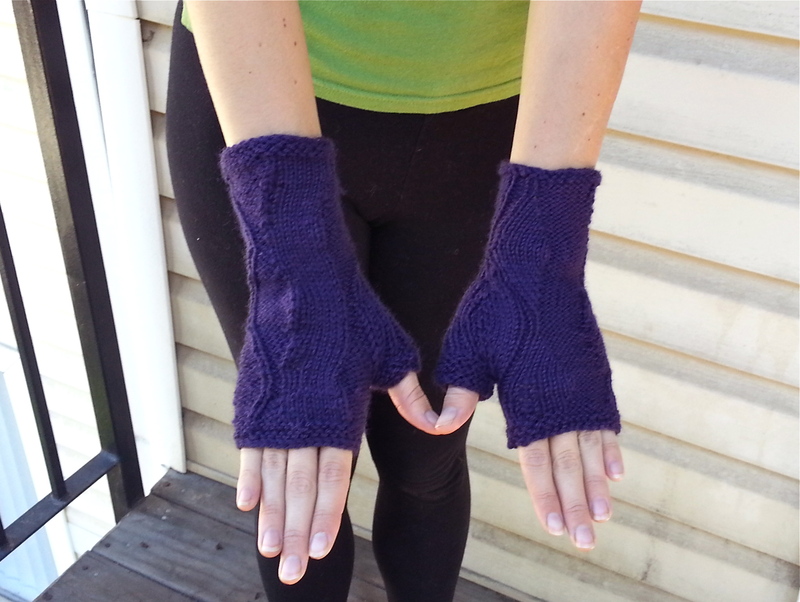 I think I may need to make another pair of fingerless mittens or gloves just so I don’t wear these ones out too quickly. I made a version of this hat five years ago and I absolutely loved it. 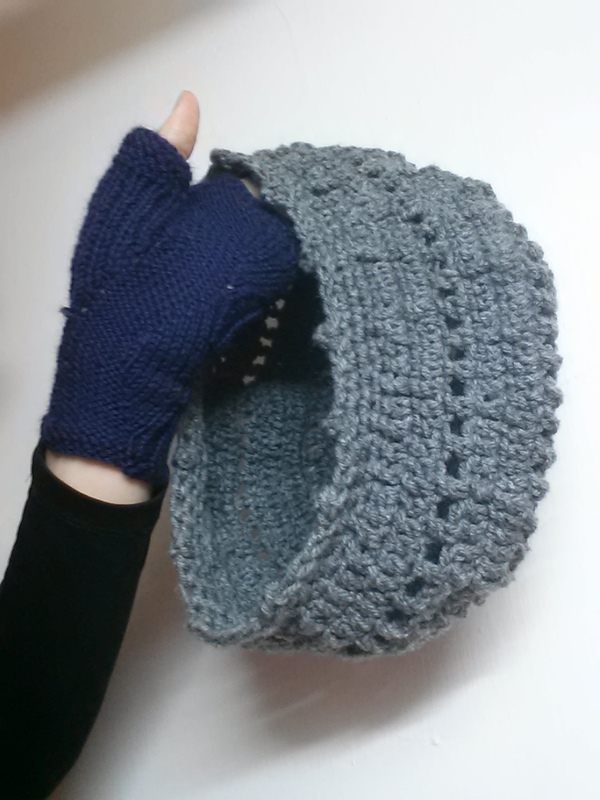 I loved it so much that even though I never crochet and only had cheap acrylic yarn and the wrong size hook handy, I made this gray version for myself the other week. 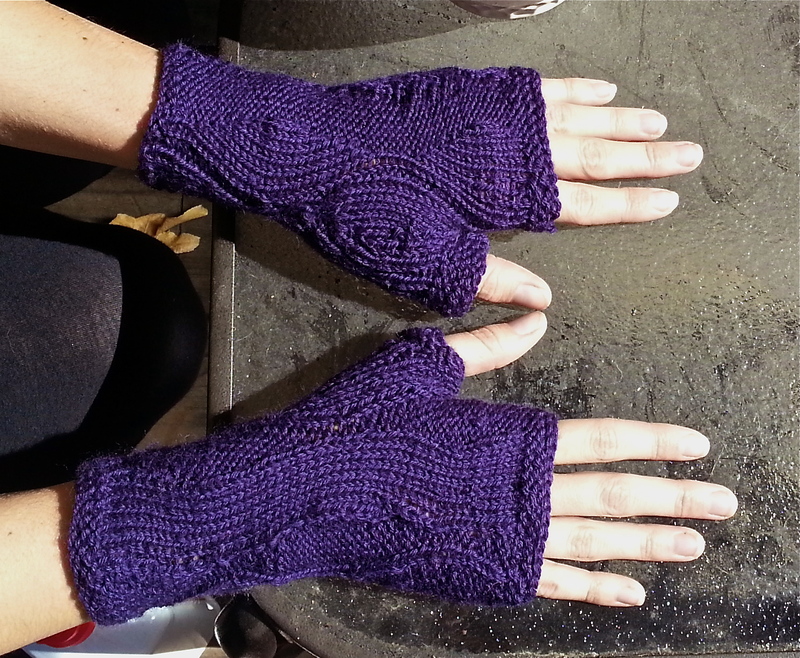 The pattern is a little tricky to find—it has no name so far as I can tell, but it was posted in this craftster forum by BendyBones. 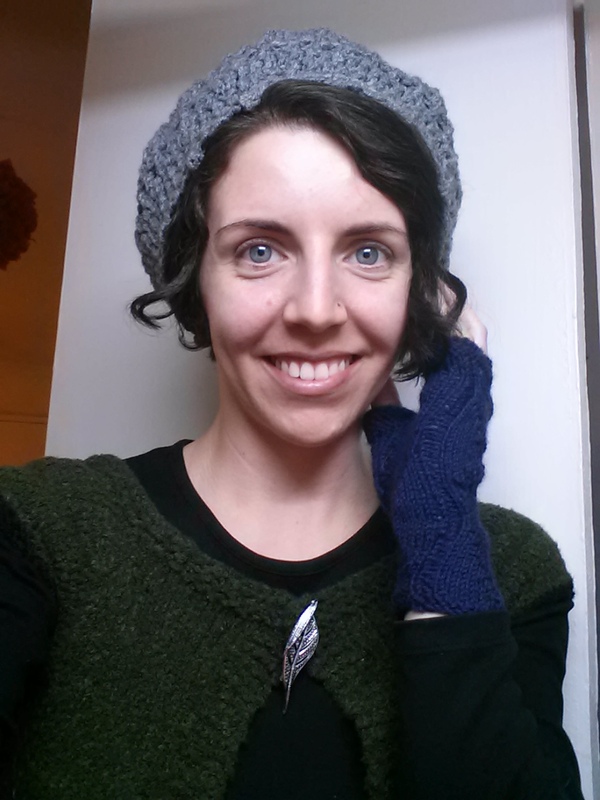 As you can see it’s a slouchy hat with some open work mixed in. The pattern doesn’t include instructions for the picot border, but you can learn how to do it by watching a video like this one. 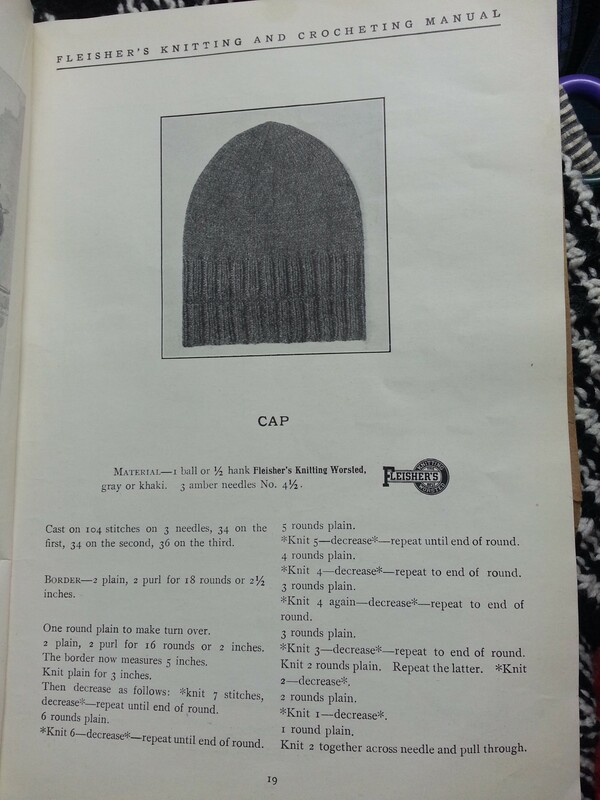 My original hat, pictured below, was a bit more slouchy and had larger picot edging—as I said, at the time I actually used the right size crochet hook. 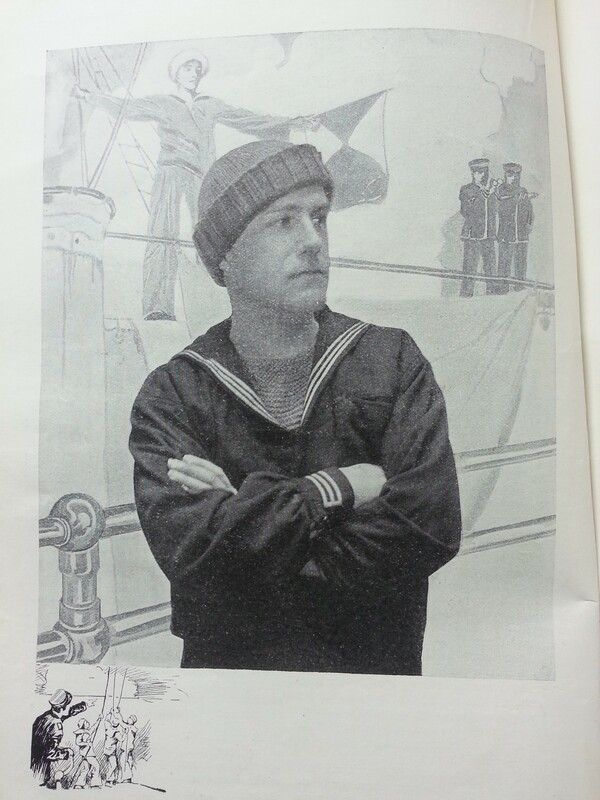 On the gray hat, I had to repeat several rounds to get the correct size for my head. 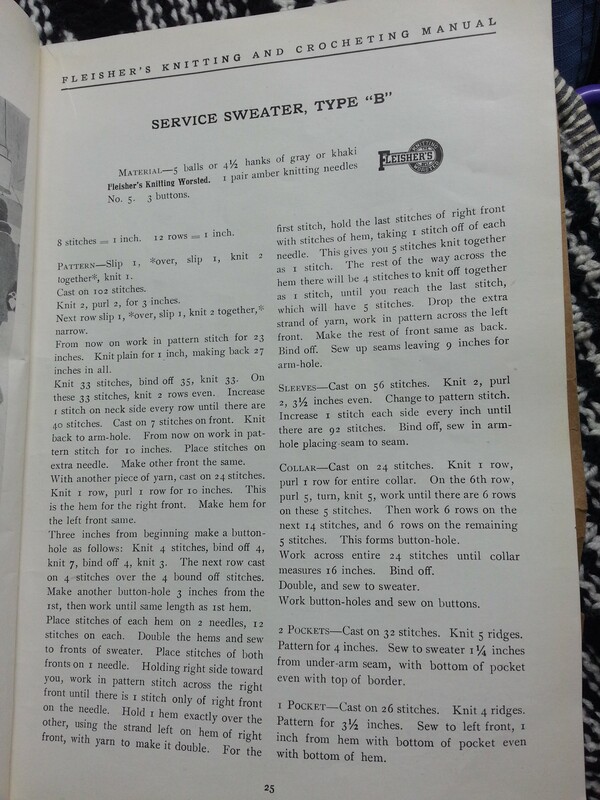 This is a pretty good crochet pattern for a knitter—it’s fairly straightforward. I don’t do much crocheting, but I learned a little bit when I was a kid and there are some times when it’s really useful. 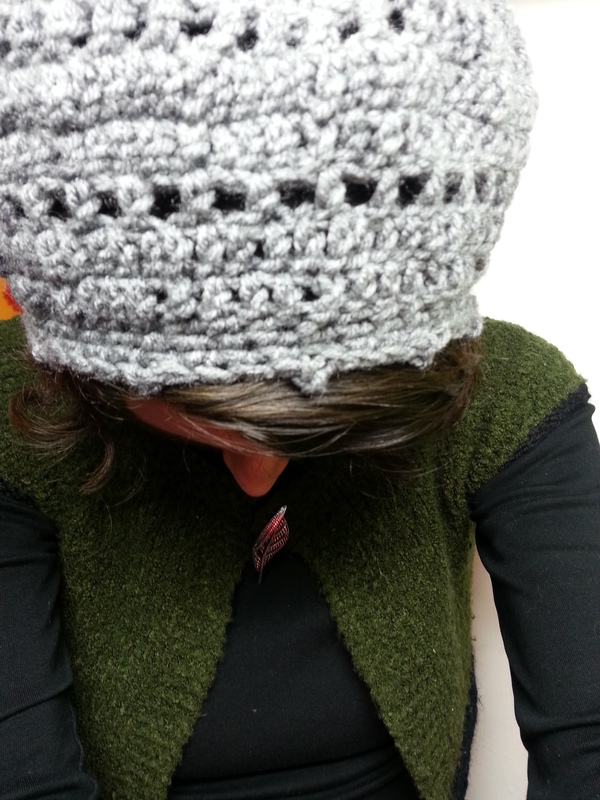 I think crochet’s thickness makes it especially suited to hats. I like both versions of this hat because they keep my head warm but I don’t get too hot thanks to the natural vents. 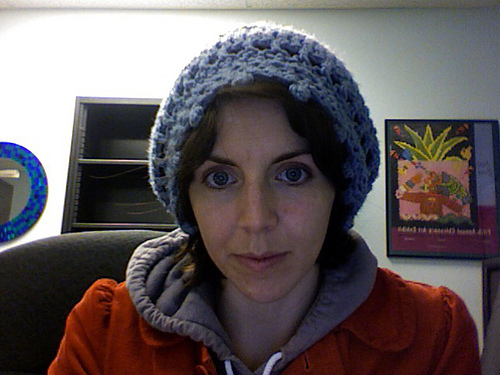 Also, the hats are loose enough so that I can wear them over damp hair without getting hat head. Win-win.